How Can You Transition into Product Management? What advice do you have for aspiring Product Managers with little to no technical experience? Do you know success stories of tech consultants becoming PMs at big tech firms? Which is easier to transition into a PM role at big tech firms: working as a technology consultant at a Fortune 500 consulting company or working as a software developer at a small company? Do you have any advice for a UX Designer (with 8+ years of experience) shifting into Product Management? Any challenges one might face? Any similarities? Is a computer science degree, scrum certification, or anything else needed to become a Product Manager? What are the best resources available for preparing for PM interviews? Since you’ve worked on so many different products, is domain-specific knowledge valued for breaking into PM, compared to skills in engineering or analytics? What's Amazon Product Management Like? What prioritization techniques do you use at Amazon to build product roadmaps? How can I get a Product Management job at Amazon? What uniqueness should I have to get a role? How do you build product roadmaps at Amazon? How do you sell a product vision of 1-2 years down the line to business stakeholders? What are Product Management interviews like at Amazon? On what criteria are candidates evaluated? I heard jobs at Amazon are challenging and very stressful, especially in a Product Management role, is this true? What is an Amazon Product Management role like? Can you give us a story of when you had a difficult time working with your management and how you managed to influence them into your vision? What Product Management Skills Do You Need? In your quest to understand why some products achieve success and some don't, what have you learned? What's the best way you've found to get customers to agree to interviews outside of using a third party service? Is it really just a numbers game of cold emailing or cold calling? I'm wondering what's the most difficult recurring problem you have found yourself working on for products and in your work over the years? Do you have advice about how to think outside the box? I am interested in how to develop my creativity. Should I follow trends in terms of marketing and communication, best current cases? How do you know what products to build in B2B situations where the data for market research is inadequate and not conclusive? What’s Amazon Product Management Like? In your quest to understand why some products achieve success and some don’t, what have you learned? What’s the best way you’ve found to get customers to agree to interviews outside of using a third party service? Is it really just a numbers game of cold emailing or cold calling? I’m wondering what’s the most difficult recurring problem you have found yourself working on for products and in your work over the years? This week, Product School‘s #AskMeAnything session welcomed Amazon Product Manager, Karan Peri! 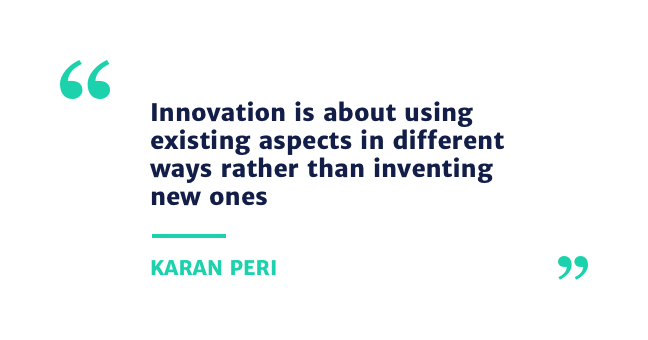 Karan gave some advice on how to transition into Product Management, what Amazon Product Management looks like and an essential list of skills and practices that you should always be taking into account. Curious about how Product Managers have broken into and mastered their roles? Then join our Product Management Slack Community and ask them! Karan Peri builds shopping experiences for Amazon‘s international customers. Previous to working with Amazon, Karan worked with Flipkart, an E-commerce pioneer in India and led their mobile and desktop web product team to deliver engaging e-commerce experiences to millions of users. In his career spanning 11 years, Karan has worked to ship experiences in several industries such as Banking, Healthcare, Education and Sports in companies of various sizes. 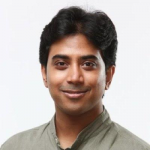 Karan is an MBA graduate from IE Business School, Madrid and received a Bachelor of Engineering in Computer Science from Visvesvaraya Technological University, India. I would suggest finding ways to get closer to a product team. It will be good for you to build experience in knowing the complete product lifecycle from the inception of an idea, to prioritization, to actually working with the design and engineering team to build and launch, including understanding how to measure success and keep an eye on the metrics. Doing this a few times will help you understand how much tech knowledge you need to be familiar with and also prepare you for interviews. In short, get practical learning in any way possible. Yes, I have worked with former tech consultants in the past who have transitioned to product management. I have seen more former developers transition to PM than tech consultants. But that could be just the distribution of my experience. I would say, both paths are fine as long as the product manager skills of customer empathy, ownership and design are developed. Make sure the products excite you, especially the quest to understand why some products achieve success and some don’t. Make sure you understand what you’re getting into. 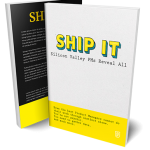 Learn about product management and what PMs do. Product School has some great videos and courses to understand that well. Build experience around thinking about products holistically so that you can demonstrate that in an interview. Think about the whole customer journey, the problems they face and how to solve them as frugally as possible. Learn about how products get built and get comfortable with technology and its limits. Stay close to engineers (for designers) and designers (for engineers). I have not come across a case yet where a Scrum certification has increased chances. Practical knowledge of Scrum and understanding its benefits and limitation and demonstrating with real situations would help more. A computer science degree is not needed (one of the best PMs I have worked with was not an engineer) but helps as you can understand and work better with your engineering teams. Product School videos are great. Also, certain books such as ‘Decode and Conquer‘, ‘Cracking PM interview‘ will help. In addition, there are several Quora answers that will help. In my experience, good product companies value product skills more than specific domain expertise. Skills are table stakes, domain is just an added advantage. Amazon is a big company and there is no one way to prioritize – it depends on the type of product (consumer, enterprise, for sellers), stage of maturity of the product, customer needs, etc. But, in general, we work backward from top customer needs balanced with business goals, mostly long-term. It depends on if you are already a PM or not. Also, are you trying to break into product management or making a lateral move? If you are trying to break in, then I would say focus on building strong experience and stories in your current role around prioritization, stakeholder management, handling failure and customer obsession. Amazon is a large company and roadmaps are different depending on the team or product you have responsibility for. In general, you should work backward from customer needs and help solve customer problems with speed, as well as building for the long term in parallel (not easy!). Selling a long-term vision to stakeholders requires a large impact worthy investment, but broken down into smaller steps or launches to validate, get success and course-correct along the way. 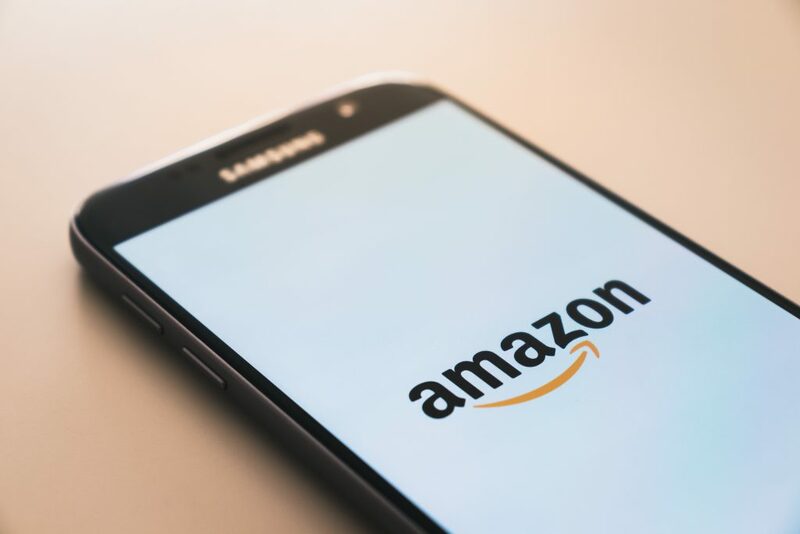 I have spent a little over a year with Amazon so still learning about this, but in general, candidates are tested on Amazon Leadership Principles which you can readily find online. Product Management is a highly accountable role and the pressures of delivery will remain irrespective of the company. Speaking from my experience of working for different companies, small and big. You would need to get comfortable with this kind of responsibility to be a PM. In short, spending the time to build a case and collect evidence to support your argument is important. Breaking a large idea down to smaller, lower-risk, testable parts is another way. If you put both together, then you greatly increase your chances of being heard and getting prioritized. Discovery and distribution are sometimes most important. Helping people find your product can make or break a product with a great experience. Performance and speed are features and can sometimes give more benefit than user-facing features. Cohesion between team members directly leads to improvement in product quality over the long term. Being in front of users and reminding them that you exist repeatedly has to be forethought. Users are busy folks and won’t remember you unless you are selling a cancer drug. Always take the opportunity to de-risk your product, the biggest risk being that you build something that no one needs. User interview, usability studies, reviews with experience folks, dogfooding are all examples of de-risking. This is sometimes a concern with low budgets and strict timelines (been there!). I found success in approaching users who are more likely to take an interest. For example, start with a supermarket for grocery-based features, clinics for healthcare etc. Better than ‘spray and pray’. Find your product in the first place. Getting them through at least one successful product journey without them losing patience or bouncing off. Making users come back to the product. All of these require deliberate interventions and product functionalities. Hope is never a strategy for any of these (especially no.3). I would suggest becoming a student to human behavior and reading up on that. Also, reading about diverse topics, not just on your industry, helps. Innovation is about using existing aspects in different ways rather than inventing new ones, so diverse reading helps expose you to different thought processes. The principles remain largely the same. Spend time with your customers and understand their business deeply. The key is to experience how they work on a day-to-day basis and understand what their needs are. Your findings can sometimes be different than what customers say they need. Differentiating the actual need from what is being said is your value-added and your solution can vary accordingly. As a final advice for aspiring PMs, I would suggest getting closer to product teams in your existing organization and work towards making the shift in the current organization rather than a new one, if possible. It will help get your foot into the door and start getting the required experience. As a side benefit, your PMs would love that you’re taking interest in thinking holistically and concerned about things beyond your call of duty.